We first had this on one of our many trips to the Gulf Coast. My husband and I got married down there and one of my dearest friends lived there. Her husband owned a chartered fishing boat, so the seafood was abundant when we went there. Each visit we went to her house and she always made us these amazing seafood meals. This is one of our all time favorites. When I told my husband I was making it, his face just lit up! I picked this because shrimp was on sale this week at Kroger for $3.99/lb for the 40-50 count, which is a really good price. The larger the number, the smaller the shrimp, but even the small ones are great here. It just makes for a little more work peeling them! These were also wild caught, which means they don’t have any hormones and antibiotics, similar to the “organic” label. 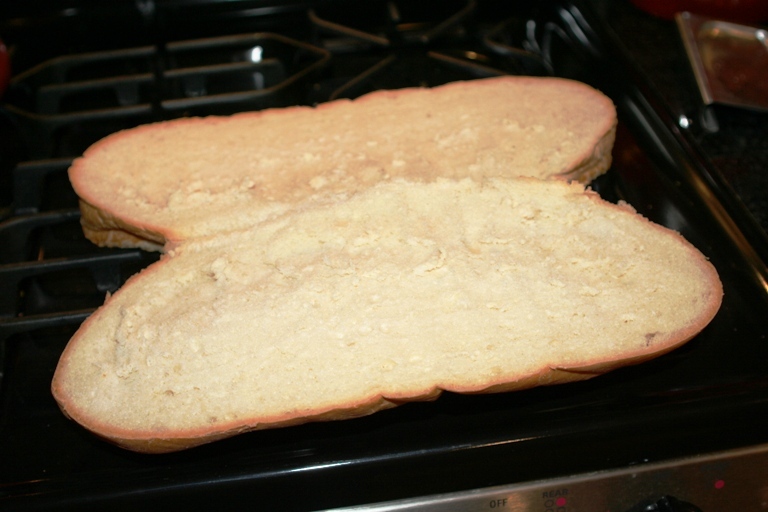 Melt the butter in a shallow baking dish in the oven while it preheats. 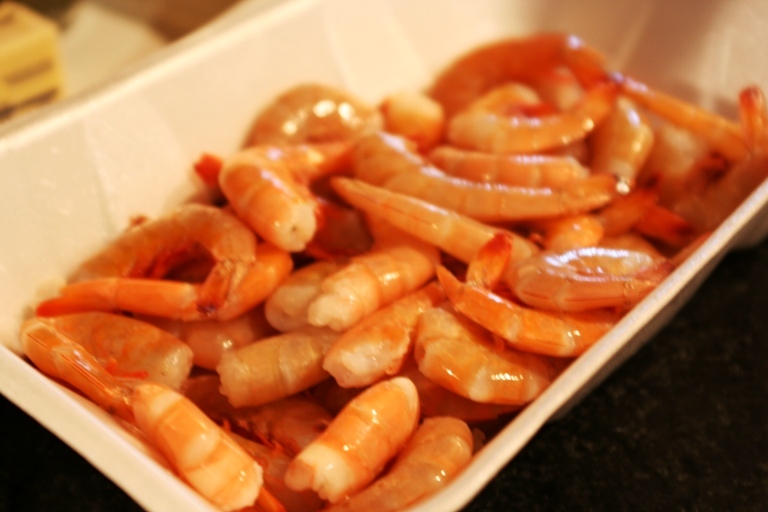 Wash the shrimp under cold water and drain well. 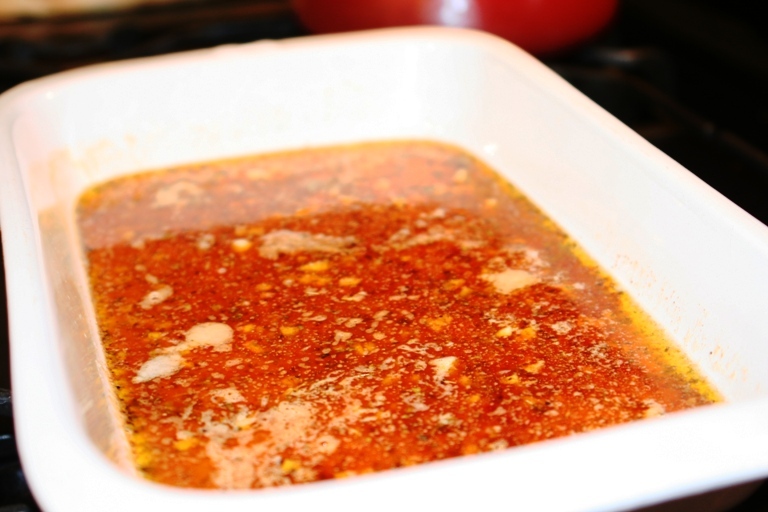 Add the spices to the melted butter and stir to combine. 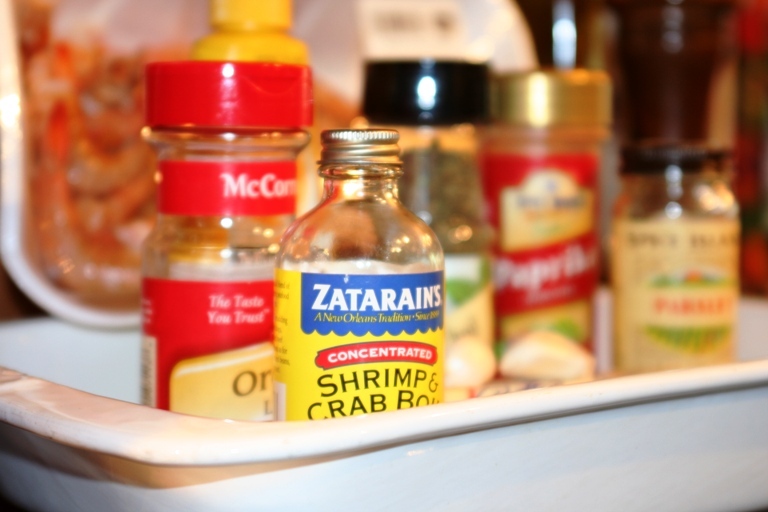 Add the shrimp, stir to coat each, and arrange them in a single layer. 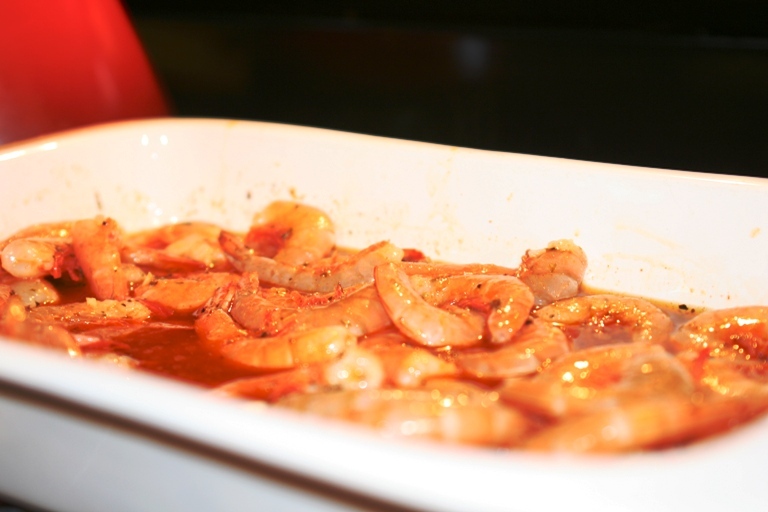 Bake 10 minutes until shrimp are hot and tender. DO NOT OVERCOOK. 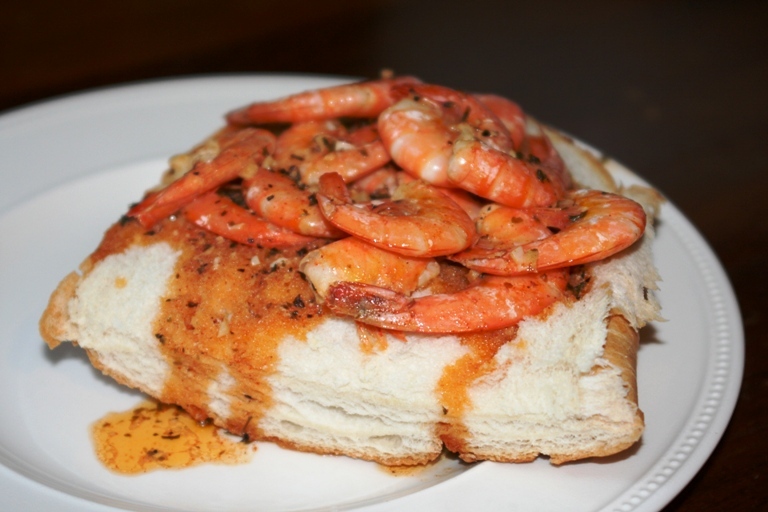 Five minutes into cooking shrimp, place the bread in to lightly toast. Then remove both and pour shrimp and sauce over bread. Serve with a big green salad! 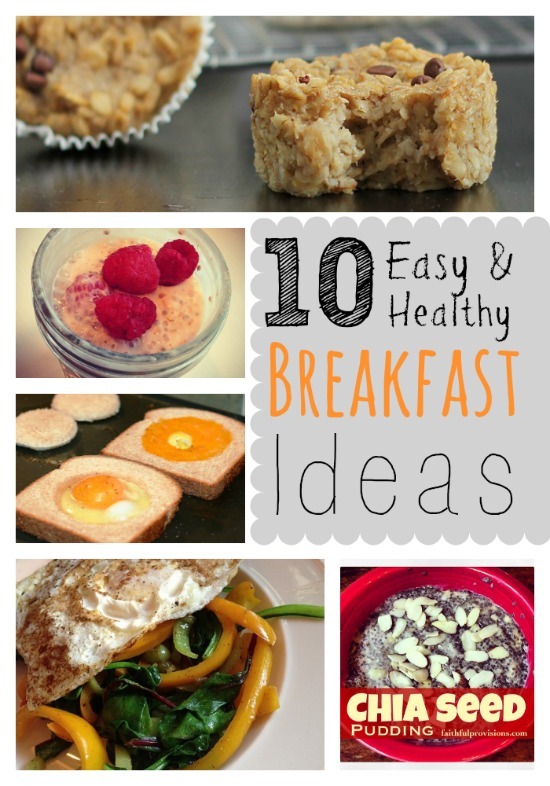 Print Recipe without Images: Click on the “Print Friendly” icon at the bottom of this post and then check “remove images” to print only the recipe. my husband hates having to peel his own shrimp. i peeled and reduced cooking time to 8 minutes. the dish was still wonderful. cooking with shell on does enhance flavor but not listining to the complaining is worth the adustment. I talked to my South Louisiana mom about shrimp and good prices for it. She said she does not understand why we (America) even have “farm raised” shrimp, because there is more than enough shrimp in the Gulf of Mexico. So, wild caught Gulf shrimp are the best! And under $5 a pound is a great price! 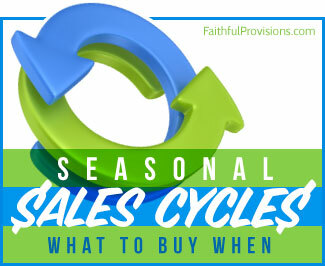 I just found this website through WayFM South Florida, I spoke briefly to you. I was exploring your website and came across this recipe. I never buy shrimp too expensive here but they were on sale (not as cheap as yours, plus for $2 they were cooked and peeled this meant more no weight on skin). God is great, I have dinner tonight for the baby and me. I am a single Grandmother raising her grandchild. For me to find this the day after I buy shrimp He is good. I can’t have spicy buy I certainly can change it slightly and still have it over bread. Thanks! For Sarah: if you leave the shrimp with the shell and cook it that way it will taste a lot better than if you cook them wihtout the shell. How spicy is this? 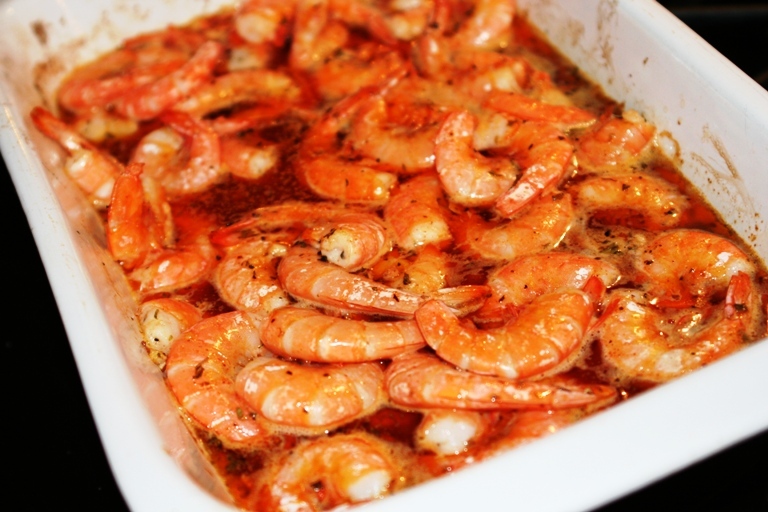 I’m always looking for new easy recipes for shrimp, but my family is not big on spicy food. My family and I tried this yummy shrimp on Valentine’s Day. It was the best shrimp we’d ever had! My husband thought it was way better than a restaurant and the best shrimp he had eaten. We will be making this again to eat in salads and fajitas too. I would have to say for my family and me, I would have to say you get ten stars!!!!!!!!!!!!!!!!!!!!!!!!!!!!!!!! !